How to enable Remote Access? 3. Activate the checkbox Allow Encrypted Remote Access (HTTPS). 4a. 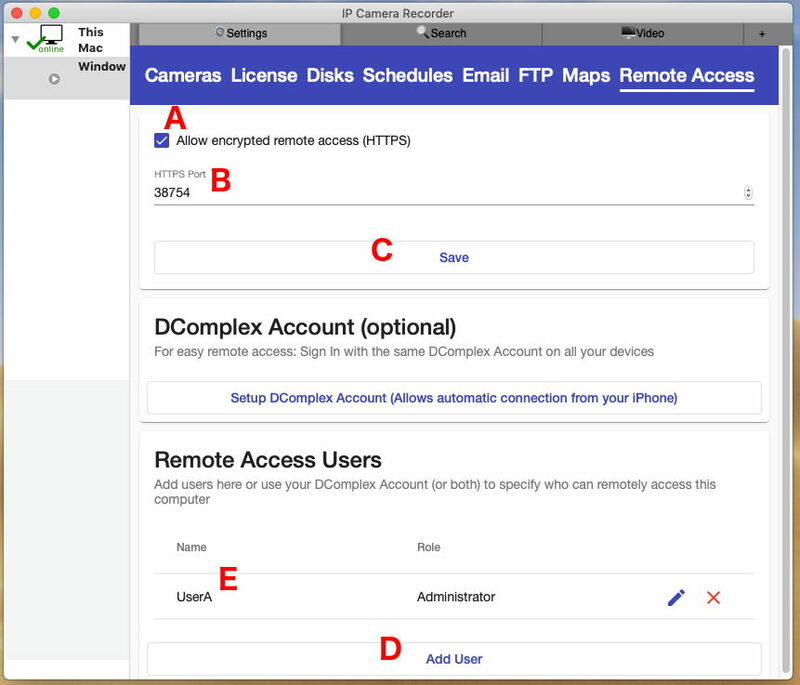 First option (easy): enable Use DComplex Cloud for Remote Access option. Sign In with your DComplex Account in the app. Then Sign In with the same DComplex Account using our iPhone App. Your iPhone will connect to IP Camera Recorder automatically.